Our real Fraser Fir Table Top Trees are freshly cut from one of our tree farms based in the beautiful Blue Ridge Mountains in western North Carolina. Our Fraser Fir Christmas Trees are excellent for any room in your house, office, and they also make the perfect Holiday gift for those with limited space or those who are looking for the perfect holiday accent. Enjoy the fragrant scent of fresh evergreen in your home. Each tree comes with it’s own stand. 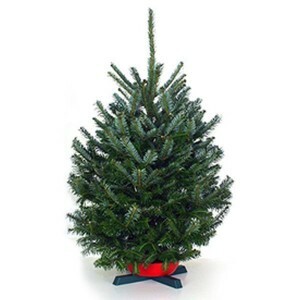 Sturgill’s Tree Farms is your choice for real Fraser Fir table top Christmas Trees.